In the mood for a Spa day but don't have the cash to shell out for a visit? DIY at home with Freeman Beauty! The Feeling Beautiful Honeydew & Chamomile Sleeping Facial Mask with antioxidant-rich honeydew and calming chamomile is just the thing for rejuvenating skin. Deep moisturizing coconut oil makes rough skin a thing of the past. Rinse upon waking to reveal well-rested skin that's ready to face the day. 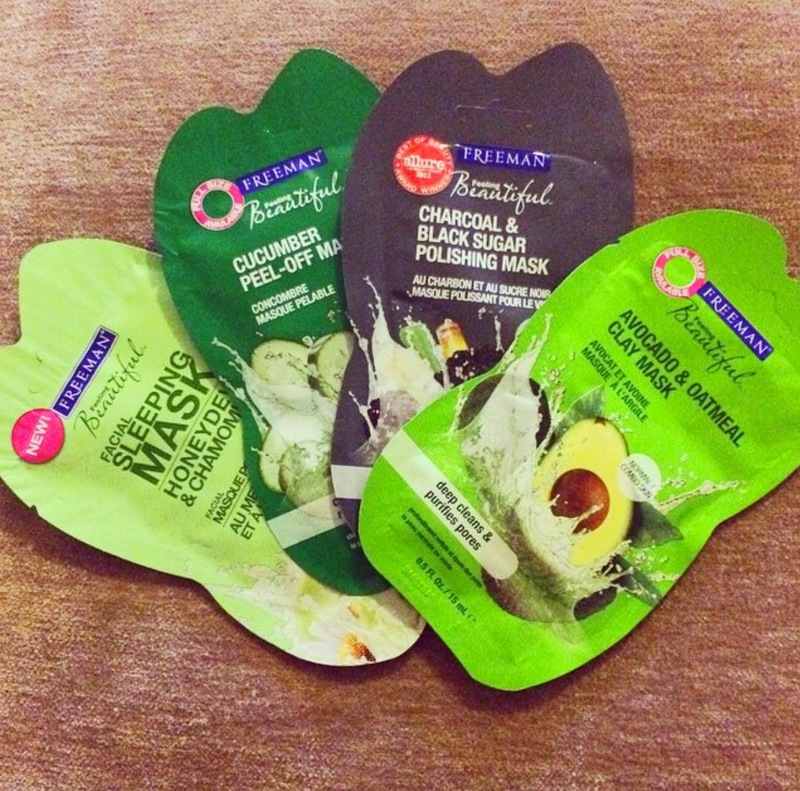 The Freeman Feeling Beautiful Cucumber Mask is made with all-natural, botanical ingredients. This Freeman Peel Off Mask, is designed to clarify and renew your skin with cucumber extract, leaving your face smooth and silky. This clarifying mask makes a soothing addition to your cleansing routine. Nourish and purify with one amazing mask--the Feeling Beautiful Avocado & Oatmeal Facial Clay Mask. Rich clays dive deep to purge dirt and oils from pores. Nutrient-rich vitamin E, avocado, and oatmeal moisturize for lasting skin softness.